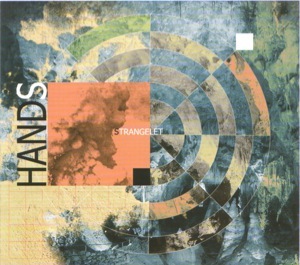 Strangelet, the brand spanking new album from Hands is now available for purchase on iTunes (click here). 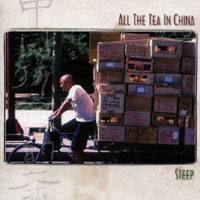 The sagacious among you may have noticed that Hands and All the Tea in China have connections musician-wise. A prog/jazz/rock/pop outfit with Michael Clay and Ernie Myers, along with super bassist John Billings and former King Crimson greats Ian Wallace and Mel Collins, with a guest appearance by current KC wunderkind Adrian Belew. Mark Cook’s galactic vehicle for multi-stringed nirvana. One of Martin McCall’s 16,000 bands. But two of many locations to secure Hands and Fission Trip recordings. Michael Clay’s titanium umbrella for musical reign (search here for Hands old website as well as offerings from Long Pig and Shiny Beast). Old school, hippie-like, yet “finger on the pulse” artist and designer for Hands- Stranglelet and Fission Trip-Volume One. 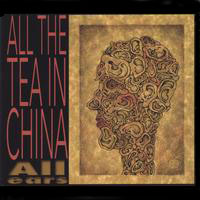 A fine artist and designer for All the Tea in China- All Ears...did we mention her ”sweetness”?